i'm very tired and while my site isn't done and probably won't be until the end of the year, i wanted to have a little page up for my hexes, seeing as i'm getting back into it again. i'm well aware that this site looks like hell but hey, it works. -you can do pretty much anything to the petz you get from me, hexed or otherwise! -be sure to credit me, please! -please keep Morbit's in the show prefix! Available- send me an email telling me why a custom on this file would make you happy! you really don't need to do much here, but i do love trades and would be willing to do more advanced mods to a custom if you're down for that. In Development- files that i plan to eventually make full breeds out of! the breeds i want to make will ideally have tons of variations, so if you'd like a custom with traits that i've already got done before the breed's release, let me know! traits will be listed alongside the pet entry itself, as well as guidelines and information on how to request a custom. these, for now, will be trade only! for trades, i accept both bred and hexed petz, clothez/toyz/etc, and art. things i like in hexes: addball-heavy hexes, black/white/grayscale (especially if paired with neons + rainbows), gore/horror/monster inspired, cute/toy/plush inspired, wildz, pokemon, wizard texture, external textures in general. if you're not sure, show me your archive and i'll give it a proper look through. i'm more than happy to work something out! things i like in bred petz: weird body shapes, limited color palette (4 max, usually- but there can be exceptions), alleyz, oshies, persians, calicos (all catz really but those are my favorites), lids that match at least one color on the body, OW lineage, and non OW breedfiles. 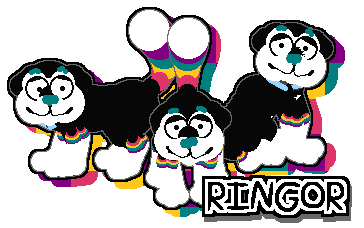 to apply for a pet, please email me at ringormortis@gmail.com with the edits you're thinking of and the personality you want! please try to keep your edits different from the customs that have already been made. hex based off of my new favorite pokemon, the unreleased electiger! this pokemon was revealed when some folks got their hands on an old gold/silver beta, and after feeling scorned by game freak i decided to take matters into my own hands and make one i could play with. these guys are really pleasant, round, and some of my favorite petz to just have run around. addball modifications + minor paintball changes for sure. based off of the fantasy creature, mimicz are monsters that resemble treasure chests. this file is based off of the jaw + chin ballz, so it opens and closes its lid to reveal a toothy mouth on the inside! done for the august 2018 inanimate object hexing contest on RKC. mods available by trade: no idea, as long as you don't make me mess with the inside of the mouth (aside from teeth, maybe??) i'm up for addball mods. a hex of my fursona, and one of my first little projects upon returning to the PC. they came out just how i wanted, though i'm not entirely sure why they want to fight every other pet. no customs available, though copies have been sent out to close friends for them to document their adventures!